Are you looking for an affordable piano mover? The Boer’s moving team can handle it. 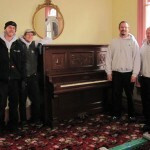 Piano moving is something that Boer’s Transfer has been doing for over eighty years. On average, we safely transport at least one piano a day. 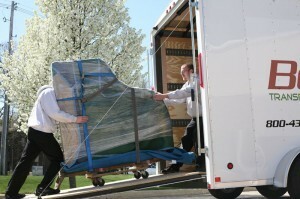 We move all types of pianos, from the smallest console piano to the largest concert grand. Boer’s is capable of moving your piano any distance. 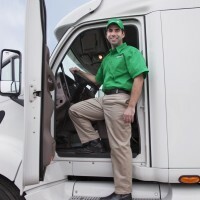 We can service the shortest moves, from one side of your living room to the other, to a longer one from one home to another. We also do interstate and international moving, so we can easily get your piano to a relative or new home in another state or country. 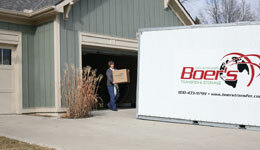 Boer’s experienced movers will choose the best way to move your piano safely to its destination. They will handle any disassembly specific to your piano. To prevent damage, our crew will wrap the piano and parts in moving blankets, and use specialized equipment to ensure its safety. The piano will be secured and transported on one of Boer’s enclosed, soft suspension, air ride trucks. Whether you view your piano as your most prized possession, just a nice piece of furniture, or the big heavy thing in the corner, you need a professional to move it. You can seriously injury yourself, (or the friend you asked to help), when moving pianos without the proper training and equipment. This could be in addition to the damage done to your current residence, the piano, or your new home. If the piano is damaged while it is being moved, you may have to spend a small fortune to repair or replace it. Please take advantage of Boer’s eighty years of experience and call the professional movers who know how to move your piano safely and affordably.